Perhaps you’ve got a goal to save money this year but you need a new car. Buying a used car rather than a new shiny one (as appealing as that may be), can save you in a big way. Even if you don’t need to save money, buying a used car is a smart choice. Used cars are of great value. In 2017, used cars are reliable and last a long time. Used cars have long lives if they have been cared for properly. In the 50’s and 60’s when our parents grew up, buying a used car wasn’t advisable because the cars didn’t hold up as they do now. Now you can pay a much lower purchase price for the vehicle of your dreams. However, all used cars aren’t created equal. It’s important to consider which type of car you want and why. Research the vehicles you are considering, and consider makers with a reputable history behind them like Mazda. New cars will depreciate 20% the minute you drive them off the car lot. Those cars will then lose another whopping 10% in value during their first year. That’s a large depreciation in just the first year of owning a new vehicle. You can absolutely avoid this major loss by simply buying a car that is a year old but still drives like new. Though they may be harder to come by, they are available on the market. It’s even easier to find two and three-year-old cars that are in beautiful working order. The best used Mazda is one that is certified. Furthermore, if you use the car for a time and then want to sell it, you’ll be able to do so with ease. You won’t lose much equity because the depreciation flattens out over time. After the second year of a car’s life, the depreciation rate will stay the same until it increases again around year five. The most cost-effective way to own and drive a car is to buy something that is around two years old, and then drive it into the ground. Phil Edmund’s “Used Car Buying Guide” has repeatedly mentioned Mazda as one of the best-used car options. Driving a used Mazda until you can’t drive it any longer will get you the most bang for your vehicle buck. One of the greatest benefits of buying a used car is stretching your dollar. You can buy much more car or even a luxury used Mazda by purchasing a used one rather than a new. Perhaps the car of your dreams is just not in your budget. That doesn’t mean the used version of the same vehicle isn’t in your budget as well. Have a high school teenager that is ready for their own car? A used Mazda can serve your teenager who just got their license for a few years to come with minimal liability. Carmakers, especially Mazda, don’t redesign their models every year. Buying a used car carries no stigma, and you can get the model you desire in used condition with most if not all of the same features you wanted in a new car. Your neighbors will never know the car is used when it cruises into your pristine driveway. A key player in the cost of your insurance policy is the value of the car at hand. Because used cars have a lesser value than the brand spanking new one, the cost of your insurance will go down substantially. You will save money on both your used car buying price and the insurance it will require to maintain the vehicle and protect it for the years you drive it. Some elements of your car insurance policy will entirely be dropped because it’s a used vehicle. Collision and theft aren’t completely necessary if the car is old enough. 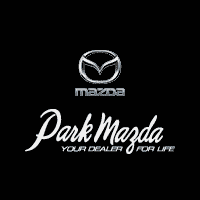 If you are purchasing a used Mazda that is a recent model, then keep those two in the policy. Otherwise, reduce your cost and drive onwards into the sunset. Because Mazda comes out with technologically advanced vehicles, they don’t replace their design every year. You can get a new model that was pre-owned for a few years will all of the updated technology that you wanted. New engines, fantastic fuel economy, and SkyActiv features will leave you happy with your used Mazda. In the old days, you never quite knew what you were going to get with a used vehicle. These days, a used Mazda is as good as a new Mazda. There are companies like CarProof.ca that can give you a complete vehicle history and report on the vehicle. You never have to buy someone else’s problems. You can reduce your risk and save money by knowing exactly what’s coming with your used Mazda. They can verify mileage and whether or not the car has ever been in an accident, or declared a loss by any insurance companies. You will truly gain peace of mind that you’ve purchased a vehicle that is both reliable and affordable when you buy a used car. Certified pre-owned programs may vary, but they should all meet the manufacturer’s established standards. They also might carry forms of guarantees against defects. Though the shiny new vehicle may be tempting, avoid making this mistake. There are too many other places to put your money than in a new vehicle. Keep in mind the how much a new car will depreciate in value the minute it is driven off the car lot. You can still get the Mazda of your dreams with the added benefits of saving major bucks. You’ll reduce insurance and registration costs, and you’ll have peace of mind that your vehicle is reliable and in good condition. When you’re ready to cruise into the Canadian sunset in the car you’ve been waiting for, visit us today.